Verizon Center: 601 F ST NW, WASHINGTON, D.C. 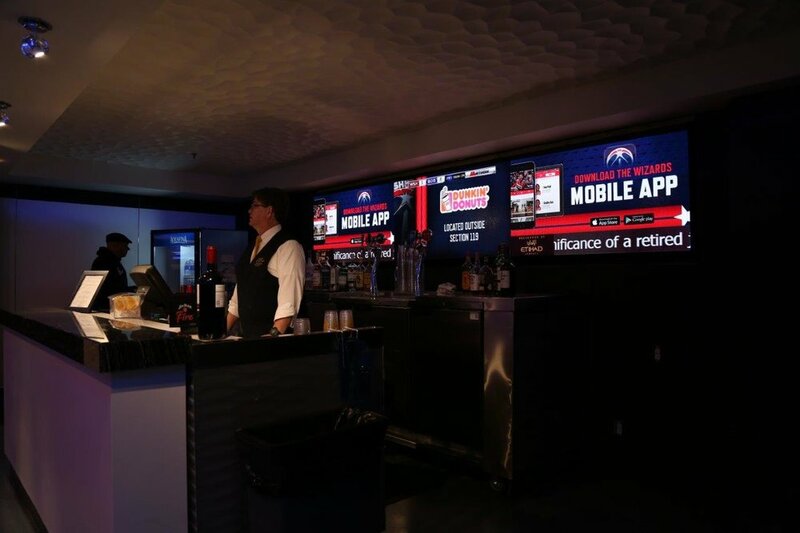 In early 2016, Sansi North America completed an LED display renovation in an exclusive lounge area inside the Verizon Center. 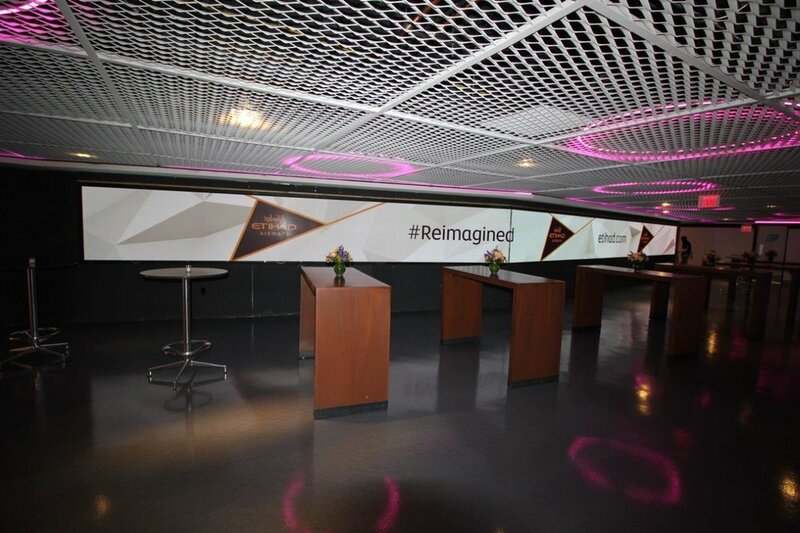 The coaches' club, for which Etihad Airways has claimed sponsorship rights, features three fine-pitch interior LED products, all offering high-resolution arena content to club patrons. 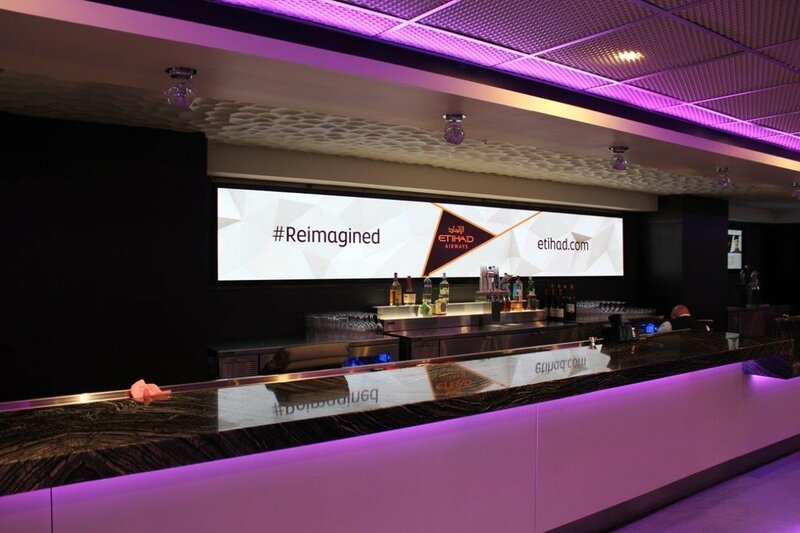 SNA manufactured and installed the displays for Monumental Sports & Entertainment, the group that owns and operates the Verizon Center, the Washington Capitals (NHL), Washington Wizards (NBA) and Washington Mystics (WNBA). Gelberg Sign provided installation services for the project. The first LED interior display is at one of the room's end walls. The screen has an extremely tight pixel pitch, 1.67 mm, meaning each pixel is only .06" from an adjacent pixel. At approximately 3'6" high by 59'10", this LED display consists of more than 7 million pixels. The resolution for this display is 648 x 10,944 pixels. 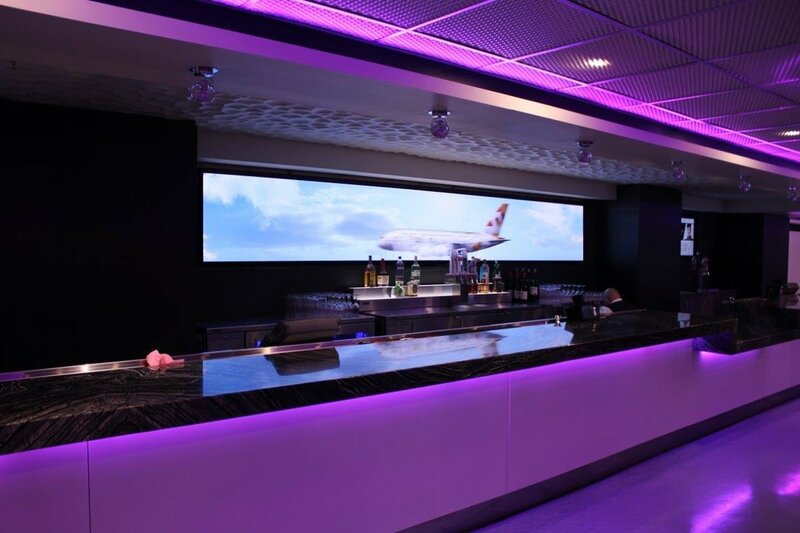 The second and third LED digital displays are wall-mounted behind bar areas in the Etihad Airways VIP lounge. Each one features a 2.5 mm ( .1") pixel pitch and is 2'5" high (288 pixels). One display is 17'4" long (2,112 pixels), and the other is 12'7" long (1,536 pixels). In total, at only 283 square feet of LED canvas, this LED interior project consists of more than 8.1 million pixels, more than the vast majority of large-format LED displays in Times Square. All of the LED signage for the Etihad Airways lounge is built with proprietary, Sansi diode technology. The LEDs meet some of the world's most stringent quality controls. Sansi has filed more than 240 patents across multiple LED technology markets. 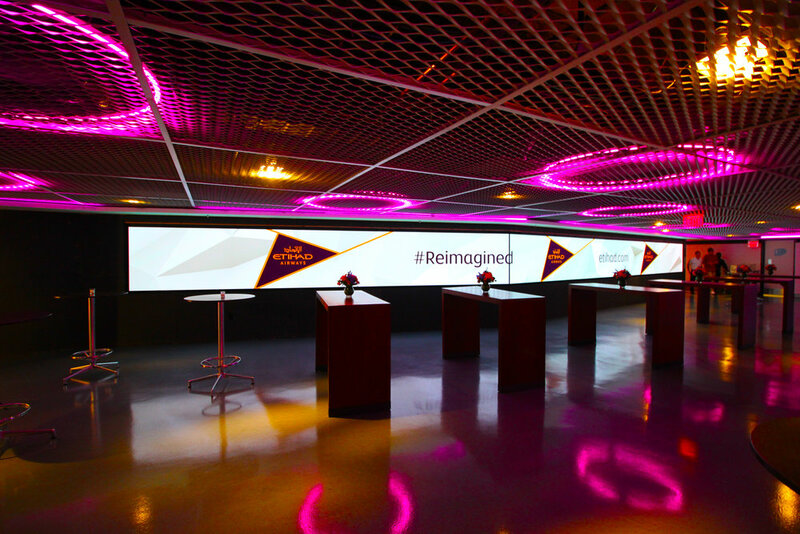 All of the lounge's S|Video™ screens employ surface-mount device (SMD) technology, where the LEDs in each pixel are packaged together, allowing for crisp, clear imagery and a widened viewing experience. SNA provides the widest offering of SMD technology in the LED display industry, from fine-pitch interior screens to broad-pitch exterior displays and everything in between.